God is Able "Success" ~Dr. David S. Bishop. God is Able "Promises for everyone'"~Dr. David S. Bishop. 2010 Census: "saved taxpayers money"? Larry King, Shawn King, Hector Penate Video: Lover or Coach? How The Hell Did GM Pay Back Its Loans "in Full And Ahead of Schedule"? Well, It Didn't. Nanny of the Month for April 2010: Anti-Flag N.C. Cop Scott Hunter. Should Obscenity be Illegal? : Lady Chatterley, Milk Nymphos, & John Stagliano. Peter Diamandis on the X PRIZE and Private Space Flight. Reason.tv Exclusive Track: DJ Carl Levin's Really Sh*tty Deal! Boobquake: Live from Dupont Circle. We The Living: Trailer to the new DVD version of the 1942 film based on Ayn Rand's novel. The search for the suspects that shot a Deputy in Arizona continues as they found the deputy. First reports were that they flew him to a hospital, but they are no longer reporting that. Please keep your prayers coming. This is a livestream from Channel 12. Confirmed that the Deputy in question was picked up by a Ranger Helicopter. Thanks for your prayers. Keep them coming. Today the verdict of the young 'man' who hacked into Sarah Palin's computer and spread all her private stuff over the internet was found guilty of obstructing justice. There is one count the jury is having difficulty with, and that one is identity theft. They are deadlocked on it, so far. The charge he has been convicted of carries a 20 year sentence and a $250,000 fine. This is for those who think that computer crimes are not that significant. Beware. Do not do it. Below is coverage of this verdict with a stupid commercial first. Sorry, I couldn't get rid of the commercial. For those who are happy, remember this verdict when the shoe is on the other foot. For those find this too harsh, then don't do it, and you won't have to worry about it. For those on the Left, remember this the next time your boss asks you to hack into someone on the right. We are watching for all hackers, Left and Right. It is wrong to hack into something that does not belong to you. That's all. Here is the link in case the video doesn't work. Does that include the 2074 health insurance scam they are trying to pull on us? It is full of legalese. Even they know not what is in it! O my soul, be comforted in the knowledge that it will be considered unconstitutional. If it is not, REPEAL IT. Not reform it. Anyone who wants to reform it, I have a radical idea for you. KEEP THE GOVERNMENT OUT OF OUR BUSINESS! We did NOT give you the authority to do such a thing to us. I dare warn you, we mean it. You mean it is not a living, breathing document? Holy cow! Essay by Mr. Mark Alexander: Army Preps for Tea Party 'Terrorists'. This essay is a MUST READ. I shall repost it a later time. It should give you chills to your bones. Literally. Update from Mark Alexander – April 29, 2010. PUBLISHER'S NOTE: Regarding my essay, Army Preps for Tea Party 'Terrorists', I was contacted by senior command staff at Ft. Knox this afternoon. There was a security exercise at Ft. Knox this week, but an officer in the security loop altered the scenario "in order to make it more realistic." Those alterations were described in my essay, exactly as they appeared. The command staff informed me that the alterations were not approved at the command level and that the individual who circulated the scenario through official channels will "receive appropriate counsel." I was assured that the Command staff would not have authorized such a scenario. What kind of stuff is this when they have to call some SWAT teams on peaceful people protesting against President Obama's policies, and some of those include allowing Iran to get nuclear weapons while giving up our own? Everything is upside down and inside out. This video below was taken either today or yesterday, and a few people have it. I 'borrowed' it from HotAir. Here is the link just in case the video does not work properly. The Dana Show: Illinois Sends Riot Police to Peaceful Protest in Quincy, Illinois. The Fox Nation: SWAT Team Called on Tea Party. Doug Powers at Michelle Malkin: Riot Police Called in to Protect Obama. Gateway Pundit: Obama Sniper Teams Ordered to Rooftops To Quash Radical Tea Party Protest (Video). This woman has changed my mind about rap. I never liked it cuz it was always crass and ugly. Tamara has used her talents and turned it into something beautiful by telling the Truth. You go, Girl! Here is the link in case this is the wrong video or it doesn't work properly. Have a great day. I've just read an article I received December 16, 2009, and it is powerful. There is so much corruption within our government on every level including the courts that this is a refreshing outcome. However it is a dire warning as to how far we have moved away from 'Justice for All'. Federal Judge Exposes Massive Conspiracy by Justice Department. Yesterday a Federal judge threw the book at the U.S. Justice Department for corruption of the process, bullying defendants, forcing people to plead guilty to crimes they did not commit (happily one guilty plea has been thrown out and the second will shortly). This is what the U.S.Justice Department did to a billionaire and other wealthy people--imagine how they would treat you and other middle class and poor people. "Accusing prosecutors of a "shameful" campaign to intimidate witnesses and obtain unjustified convictions, a federal judge threw out high-profile criminal stock fraud charges against Broadcom Corp. co-founder Henry T. Nicholas III and the company's former chief financial officer." "In remarks that followed two months of testimony, Carney cataloged what he called the government's misdeeds. He said the government's treatment of Samueli "was shameful and contrary to American values of decency and justice." The judge called him "a brilliant engineer and a man of incredible integrity." "The judge said the government unreasonably demanded that Samueli submit to as many as 30 "grueling" interrogations, falsely stated and improperly leaked to the news media that he was not cooperating in the government's investigation, and improperly pressured Broadcom to terminate his employment. In reviewing the case, the judge singled out the way the government handled two witnesses. He said Nancy Tullos, a former Broadcom vice president of human resources who refused to cooperate in the investigation, was fired from a new job after a prosecutor called her employer and disclosed allegations against her." "The judge said the government also pressured former Broadcom general counsel David Dull to testify in a way that favored the prosecution." In plain terms: the government demanded he lie. the judge may be one of the truly honest people in government: ""I'm sure there are going to be many people who are going to be critical of my decision . . . and argue that I'm being too hard on the government," the judge said. "I strongly disagree. I have a solemn obligation to hold the government to the Constitution. I'm doing nothing more and nothing less." If they treat rich people like this, you know how they treat poor people. Our Justice system from the local courthouse to the Federal courts are broken. This system works only if people are not aware of how corrupt government can be, and this story must be given to everybody. We need total honesty in the judicial system, not just what judges or prosecutors want us to know. What do you think? Who should go to jail--Nicholas or Eric Holder? This is refreshing and frightening at the same time. To find out with absolute proof that our Attorney General is breaking the law and there's nothing we can do? I believe there is something we can do. Are you willing to join me in doing it? Today the SCOTUS also ruled that the Cross at the cemetery of our WW Vets was to stand, but they sent it back to the same court that said the government could not sell it which is what they had settled on to begin with. This same court may be biased against Christians, so our fight is not over. They are supposed to have the government sell the land to the VFW. Let us keep an eye on this case very closely. Here are some words from a good friend who has been following this and is worried that many think this fight is over. Please read his take on this situation. As far as the Senate goes, the Repukians caved on the Financial 'Stability' Reform Act, so they are now moving forward with Dodd's permanent bailout for Wall Street while we sit around without a job. Oh yeah, they're really looking out for the unemployed people, eh? Bastards. This is an old favorite of many of us, and here it is on video. I bring it to you from the lungs of a 7 year old girl by the name of Rhema Marvanne. You go, girl! Here is the link from the GodTube for the child singing Amazing Grace. Yesterday I was very happy because I finally had all the ingredients to finally make my own fresh, hot, bread. It takes about 4-5 hours, but I knew it was going to worth it...NOT! First of all ladies and gents, no one had ever taught me anything about yeast. The recipe said to put the yeast in warm water at 110 degrees. I used a turkey thermometer which was alright. It just didn't have any numbers on it like a regular one, so I estimated. Then I filled a bowl and laid the package in it. DO NOT DO THIS! What I was supposed to do was only use 1/4 cup of water and open the package of yeast and put that into the bowl with the water. My bread did not rise. It tasted horrible, and my brother and his friend are still laughing. They joked that maybe it will turn into a famous face so they can sell it on eBay. GRRRR. (haha) Oh well. Better luck next time. PS. I just spoke with my Mom, and she said she wouldn't have put this on the web. She does not understand the web very well. This is my diary, and I just wanted to help the next person from making the same mistake. She never did think I was very bright. That's what happens when you won't allow me in the kitchen to watch her cook food. Don't get me wrong, I love my Mother, but there are somethings I wish she would have taught me. which seems to be the norm for the leftist regime currently ruling Congress. simple that will raise the cost to every man, woman and child in the US. America and the results that it will have on our country. Here is the article. It may be considered longer than some posts, but it is well worth your time if you care about saving our country. Thank you. While we had all been putting our time and treasure into stopping the health insurance debacle, even though it passed anyway, below is a very humorous 'reality check' that almost everyone can grasp. Except those Obamabots. Have a nice day. They were a diverse group of several races and both sexes. I heard the young man exclaim, “Isn’t Obama like Jesus Christ? I mean, after all, he is healing the sick.” The young woman enthusiastically proclaimed, “Yeah, and he does it for free. I cannot believe anyone would think that a free market would work for health care. They are all crooks and thieves and don’t deserve all of that money.” Another said, ‘The stupid Republicans want us all to starve to death so they can inherit all of the power. Obama should be made a Saint for what he did for those of us less fortunate.” At this, I had had enough. “I would like to give one of you my house. It will cost you no money and I will pay all of the expenses and taxes for as long as you live there. Anyone interested?” They looked at each other in astonishment. “Why would you do something like that?” asked a young man, “There isn’t anything for free in this world.” They began to laugh at me, as they did not realize this man had just made my point. “I am serious, I will give you my house for free, no money what so ever. Anyone interested?” In unison, a resounding “Hell Yeah” fills the room. “Since there are too many of you, I will have to make a choice as to who receives this money free bargain.” I noticed an elderly couple was paying attention to the spectacle unfolding before their eyes, the old man shaking his head in apparent disgust. “I tell you what; I will give it to the one of you most willing to obey my rules.” Again, they looked at one another, an expression of bewilderment on their faces. The perky young woman asked, “What are the rules?” I smiled and said, “I don’t know. I have not yet defined them. However, it is a free home that I offer you.” They giggled amongst themselves, the youngest of which said, “What an old coot. He must be crazy to give away his home. Go take your meds, old man.” I smiled and leaned into the table a bit further. “I am serious, this is a legitimate offer.” They gaped at me for a moment. “Hell, I’ll take it you old fool. Where are the keys?” boasted the youngest among them. “Then I presume you accept ALL of my terms then?” I asked. The elderly couple seemed amused and entertained as they watched from the privacy of their table. “Oh hell yeah! Where do I sign up?” I took a napkin and wrote, “I give this man my home, without the burden of financial obligation, so long as he accepts and abides by the terms that I shall set forth upon consummation of this transaction.” I signed it and handed it to the young man who eagerly scratched out his signature. “Where are the keys to my new house?” he asked in a mocking tone of voice. All eyes were upon us as I stepped back from the table, pulling the keys from pocket and dangling them before the excited new homeowner. “Now that we have entered into this binding contract, witnessed by all of your friends, I have decided upon the conditions you are obligated to adhere from this point forward. You may only live in the house for one hour a day. You will not use anything inside of the home. You will obey me without question or resistance. I expect complete loyalty and admiration for this gift I bestow upon you. You will accept my commands and wishes with enthusiasm, no matter the nature. Your morals and principles shall be as mine. You will vote as I do, think as I do and do it with blind faith. These are my terms. Here are your keys.” I reached the keys forward and the young man looked at me dumb founded. “Are you out of your freaking mind? Who would ever agree to those ridiculous terms?” the young man appeared irritated. “You did when you signed this contract before reading it, understanding it and with the full knowledge that I would provide my conditions only after you committed to the agreement.” Was all I said. The elderly man chuckled as his wife tried to restrain him. I was looking at a now silenced and bewildered group of people. “You can shove that stupid deal up you’re a** old man, I want no part of it” exclaimed the now infuriated young man. “You have committed to the contract, as witnessed by all of your friends; you cannot get out of the deal unless I agree to it. I do not intend to let you free now that I have you ensnared. I am the power you agreed to. I am the one you blindly and without thought chose to enslave yourself to. In short, I am your Master.” At this, the table of celebrating individuals became a unified group against the unfairness of the deal. I really like this gentleman, and wow what a powerful speaker he is. I gave money to his last campaign, but I was unaware he is still running. I'll have to open my checkbook again. I am asking you to do the same. Thanks. If the video doesn't work, you can find it here on YouTube. Please help Herman to win this race by contributing to his campaign. If you would prefer to know more about him, this link will take you to his site. Thank you so very much. To start, I have had the pleasure to become net buddies with this great band and singer, Backbone Music USA. You should really go check them out if you are a patriot. They have also posted their first single along with a video on YouTube that I just found out about! Just in case the video doesn't work, here's the link. A friend of mine ["Steve"} likes to email me these silly jokes, and sometimes I can really use them. This one is entitled, "I couldn't resist forwarding this one..."
About 75 years ago, Roosevelt said, "Lay down your shovels, sit on your asses, and light up a camel, this is the promised land". Now Obama has stolen our shovel, taxed our asses, raised the price of camels, and mortgaged the promised land! I was so depressed last night thinking about Health Care Plans, the economy, the wars, lost jobs, savings, Social Security, retirement funds, etc., I called the suicide hot line which turned out to be a call center in Pakistan. I told them I was suicidal. haha. I have no idea what the truck is all about, but the rest of it I get. There are more. Same station. Stop the ACLU is a great site and provides much insight and articles that cover information that is rarely discussed by the so-called dinosaur media. This article about how they lie to women so they can get them to have an abortion is disgusting. Planned Parenthood is anything except being parents. It is all about abortions and genocide. Yes, that is correct. Black people are estimated to be 15% of the citizens in America. So why are there 85% of Planned Parenthood clinics in their neiborhood? WASHINGTON (April 23, 2010) – “It’s been my experience my whole career, that if you go into a country and you make an effort to speak their language, it has an enormous impact,” Navy Adm. Mike Mullen, chairman of the Joint Chiefs of Staff, told the Afghanistan-Pakistan Hands Program inaugural class on Nov. 12, 2009. Roughly five months later, the first group of 32 soldiers and airmen from a cross section of career specialties boarded their plane at Baltimore-Washington International Thurgood Marshall Airport, near Baltimore, in the late hours April 21 and departed for Kabul. The servicemembers have completed a rigorous 16-week training program consisting of culture and intensive language training at the Defense Language Institute, in Monterey, Calif., followed by service-specific deployment training. 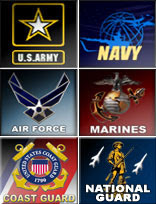 In short, the idea of the program is not to reinvent the wheel each time a new servicemember replaces someone returning from a deployment, but to have a cadre of military and civilian experts that will rotate into key staff and leadership positions that are in-theater and the continental United States to provide continued expertise in support of U.S. objectives in the region. Their training has prepared them to be a cadre of AF-PAK experts, providing long-term continuity to foster better relationships with Afghans, Pakistanis and allies across the joint, interagency and multi-national spectrum. The program itself falls under the direct oversight of the Joint Chiefs of Staff. “The training was intense,” said Army Sgt. 1st Class David Jorge, a father of five. Jorge is the only Army enlisted member in the first deployment cycle. Jorge is one of the 12 graduates from the very first course and he will focus on working with his Afghan counterparts on improving their counter improvised explosive device capability and training during his AF-PAK Hands tenure. “Knowing the language and culture are critical elements to the mission’s success,” said Jorge, who’d studied the Dari language. One of Jorge’s classmates, Air Force Maj. Christy Barry, a civil litigation lawyer from Bolling Air Force Base, Washington, D.C., also volunteered for the program to be deployed at the same time as her Army captain husband, Seamus, who’s currently a lawyer deployed to Bagram Air Base, Afghansitan. But, that’s not the only reason she volunteered for the program. Soldiers, sailors, Marines, airmen and Coast Guard members assigned to the program will serve a three-to-five-year commitment with the overseas tours of duty in Afghanistan and Pakistan. Members can expect to pull two to three one-year tours overseas during the duration of their assignment. “My wife doesn’t love the idea of me being gone. She is supportive and understands though, and sees me breaking ground as a part of this program,” Jorge said. There are approximately 280 in-theater positions, predominantly officers, but including several senior enlisted members as well, with a handful designated for Pakistan. Currently, nearly 180 servicemembers are in training and the goal is to have more than 800 in the program once it’s fully manned. Upon arrival in Afghanistan, the group will receive additional language and counterinsurgency training. From there, they will spread out to various parts of the country for immersion with their Afghan counterparts. Jorge believes the program will make a positive impact in the theater of operations. Wow, I have many videos for your enjoyment today. Whichever person(s) you like to hear from are busy making these videos. You may subscribe to them by clicking on their name(s) below. Enjoy! Jungle Love by Morris Day & the TIME Covered by 20 LB SLEDGE. The President's Award For Excellence on Independence Day. Israel Air and Navy Forces Showcase in Honor of Israel's 62nd Independence Day. "You are the Land, You are the Home" By The Education Corps Band. Shame On Campaign: Unions Protest The Padre Hotel (Part 4/4). Shame On Campaign: Unions Protest The Padre Hotel (Part 3/4). Shame On Campaign: Unions Protest The Padre Hotel (Part 2/4). In the Crosshairs- Me, Myself & I. God's Promise(pt.1)The End of America!? God's Promise(pt.2)The End of America!? God's Promise(pt.3)The End of America!? God's Promise(pt.4)The End of America!? God's Promise(pt.5)The End of America!? Demonizing DDT: Challenging The Scare Campaign That Has Cost Millions of Lives. Welcome to Oaksterdam! The Epicenter of the Marijuana Legalization Movement. Essay by Mark Alexander: 40th Earth Day Birthday. Do you remember when many states voted to keep the status quo on marriage? Well, Washington State had some trouble makers up there, and they took it took it to court to get the names, addresses, and other personal information of the people who signed the petition to get it put on the ballot. The court upheld it Sept, the 9th district rejected that opinion October 15th and gave it the go ahead, and 5 days later, October 20th, the SCOTUS (Supreme Court of the United States) put a stay of action on it until it could be heard at its appeal. Below is the press release sent to me by one of the lawyers of the James Madison Center for Free Speech. Washington’s Secretary of State seeks to release this personal information to groups who have stated that they will place this personal information on the internet, and aid those who wish to harass and intimidate anyone who publicly supports traditional marriage. Efforts of these and similar groups have resulted in death threats, physical violence, and property damage directed at individuals supporting a traditional definition of marriage in Washington and across the country. On September 10, 2009, the U.S. District Court for the Western District of Washington issued an order preventing the release of the names of the petition signers. On October 15, 2009, the Ninth Circuit issued a single page order allowing the release of the names. On October 20, 2009, the Supreme Court issued an emergency order preventing the release of the names until the appeal is decided.. The case is Doe #1 v. Reed. It will be argued before the United States Supreme Court on Wednesday, April 28, 2010. Protect Marriage Washington’s briefing, along with the prior orders in the case, are available on the website of the James Madison Center for Free Speech, under the “Doe v. Reed (S. Ct. 2010)” heading. If you want to contact him for yourself or you feel you might have a case, email me first. I will not jeapized our friendship and trust for anything. Not that I don't trust you, but I don't trust you. haha. This reminds me of the reason why we have secret ballots today. It used to be there was a red box and a blue box (if I remember correctly) that people used to vote for the people they wanted. When people (Union Thugs) saw you put your ballot into the 'wrong' box, you actually risked your life. The same thing is happening here if the court decides to allow this atrocity. Who will sign a petition again? Fox Business 04-14-2010 on Taxes. Crash The Tea Party Website Declares War! Lt. Gen. Gabi Ashkenazi Lays Flag on Fallen Soldier's Grave. Lt. Gen. Gabi Ashkenazi Takes Part in the Flower for a Survivor Project. Lt. Gen. Gabi Ashkenazi Visits Yad Vashem, 11 April 2009. IDF Chief of the General Staff Gabi Ashkenazi with General Gągor. Shame On Campaign: Unions Protest The Padre Hotel (Part 1/4). Preview: "Volunteer" Union Members Protest The Padre Hotel For Not Using Union Workers. Tax Day Tea Party DC. "EVERYONE IN AMERICA" Abalonekid & Pres Lincoln. Taxes: The Price We Pay For Civilization. Will California Legalize Pot? Q&A With Tom Ammaniano. More Taxes or More Jobs? California Shows We Can't Have Both. If you found one or two that you particularly enjoy, you may also subscribe to them also by clicking on their name. (That's why I did that for you.) Now it's time for one that I really enjoyed this week. It's from a Houston Tea Party. Take that, you Lefty no nothings. In case the video doesn't work, here's the link. Below is a video that was put together in the year 1948 reposted by the Average Family Guy. In case the video isn't working, here is the link at where you can watch it. Search your hearts. The same thing that is happening now is nothing new. It has been tried throughout history. Which side of history are you on? Hat tip: Ken who sent me this video, and to National Juggernaut for posting it in the first place. Can you say, "Class envy"? Yes, I'm am afraid many in these United States have forgotten nor do they care to embrace the solace and loving forgiveness that flows forth by our Merciful and Gracious Lord. 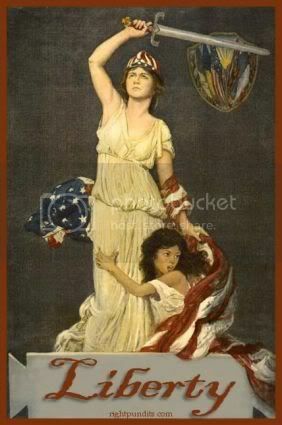 May we have another revival! Yes, we are in deep need. They have creeded to keep Him out of our schools, our policital discussions, our news, and even our Churches - I fear. Repent! For the He is Faithful to forgive. This is the only unification you have been seeking. YES. Especially if you do NOT wish to live under the rules of another ideology besides that of our Founding Fathers! Essay by Mark Alexander: The Power to Tax ... and Revolt. TAMPA, Fla. (April 15, 2010) — Coalition partners and representatives from U.S. Central Command gathered at MacDill Air Force base her[e] April 15 to offer their sincere condolences to the Polish Liaison Team after the tragic plane crash that took the lives of the Polish president, first lady and other high level military and political leaders on April 10. 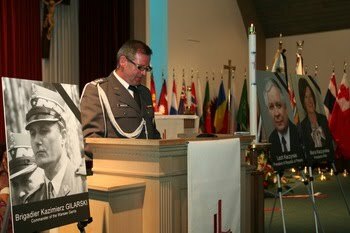 The service started at 3 p.m. with a processional song followed by an opening prayer and an introduction of reflection given by the Polish Senior National Representative, Colonel Zbigniew Lenarczyk. In his speech, Col Lenarczyk welcomed and thanked the participants for showing their deepest condolences and their sympathy for this unimaginable tragedy that hit Poland, taking the life of the Superior of the Polish Armed Forces, President of Poland, Lech Kaczyński with his wife among the 96 passengers of that tragic flight of April 10, 2010. Maj. Gen. Jay W. Hood, Chief of Staff of USCENTCOM, opened his speech regretting being joined together in such a somber occasion. On behalf of General Petraeus, Commander of USCENTCOM, he emphasized the shock and sadness of all the people in the U.S. Central Command for the tragedy suffered by Poland and their friends. “The loss of President Kaczyński, first lady Maria Kaczyński, Chief of Defense Staff General Gagor and many senior government leaders traveling with them in memory of 70th anniversary of the Katyn massacre is a tragic loss and we grieve with you. The power of Polish national character has been toughened over the centuries through many challenges and hardships and this ensures that you will not only get over this tragedy but also a stronger Poland emerges," Hood said. The service concluded with the respective anthems of Poland and the United States. PHOTO: Several CENTCOM and Coalition officials gathered Thursday to honor those lost in the plane crash that claimed the life of Poland's president and other top leaders. Feeling blue? Watch this! Guaranteed cure. In case this video doesn't work, here's the YouTube link. There is a discussion going on which is none of our business, but he is so very sweet and sent me the disk with 6 great songs on it. Here is We Ain't Goin' Away! It may not work because I do not know how to switch C:\Users\etc into html. If anyone out there know how to do this, please help me! Thanks. WASHINGTON (April 14, 2010) – A military adage says the reason servicemembers take up arms in combat is on behalf of fellow troops to their right and their left. But before an audience comprised of surviving families of fallen troops last night, Army Gen. David H. Petraeus, commander of U.S. Central Command, suggested an additional factor motivating troops. 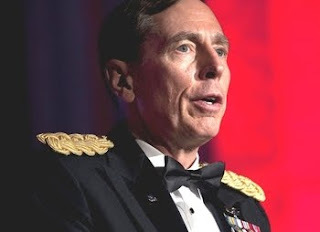 Petraeus delivered the keynote address at an annual gala sponsored by the Tragedy Assistance Program for Survivors, which provides support to surviving spouses and families of fallen troops. Founded in 1994, TAPS has raised $1 million from private donors so far in 2010, which will help to fund grief counseling and other seminars that have benefited more than 25,000 families to date, officials said. Speaking to the audience gathered at the Andrew W. Mellon Auditorium here, the general said servicemembers derive courage from those who paid the ultimate sacrifice on behalf of their country, and those survivors who maintain the memory of those who passed. Petraeus, the former top U.S. commander in Iraq whose area of operation now includes Afghanistan as well, said he is deeply touched by notes and letters he receives from surviving families in response to letters of condolence he has sent. Less than three weeks after Army Pfc. Peter Kyle Cross died after his vehicle rolled over in Afghanistan last summer, Petraeus received a letter from Cross’ mother, which the general read last night. Petraeus said the letter embodied the mother’s courage and grace – a reminder of the fallen soldier and the strength of his survivors that the general keeps near. “Her response to her loss -- and its strong reminder of the commitment and selflessness of her son and all our troopers -- was, needless to say, very powerful,” he said. “I’ve kept her note underneath the glass top on my desk at the Central Command headquarters ever since, along with other notes from families of our fallen. Navy Adm. Mike Mullen, chairman of the Joint Chiefs of Staff, made a promise to the surviving families in the audience last night on behalf of himself and his wife. PHOTO: Gen. David H. Petraeus, commander of U.S. Central Command, delivers the keynote address at the annual Tragedy Assistance Program for Survivors Gala in Washington, D.C., April 13. I Marine Expeditionary Force (Fwd) Story by Sgt. Shawn Coolman. 04.10.2010 COMBAT OUTPOST CASTLE, Afghanistan- The U.S. dollar is a powerful ally in improving the local Afghan economy and the Marines quality of life. The 4th Light Armored Reconnaissance Battalion Marines manning the COP frequent the bazaar (local market) to buy produce, livestock and commodities that normally wouldn't be available to them. The Marines here established a good rapport between themselves and the locals who allowed them to purchase goods at economic prices. "It's a good relationship that we have with the Marines here. They buy most of the things we sell here which helps us a lot," said Nyaamatula, a local bazaar shopkeeper. "When the Marines come in here they have a great relationship between the locals and the shopkeepers," said Nyaamatula, through an interpreter. It hasn't always been that way. When 4th LAR arrived here the bazaars' shops were not regularly open or had nothing to sell to the Marines. "When we got here in November, 2nd Light Armored Reconnaissance Battalion Marines told us about the bazaar," said Cpl. Jesse J. Hurtado, 23, a food service specialist with 4th LAR. "There wasn't much out there when we got here. Not a lot of the shops were open, but we still could buy a few personal items from the shops." Now with more Marines coming from the COP the shops are open to more Afghans and Marines with a wide selection of goods to be bought. "There's a lot of variety now. We can go out to the bazaar and buy fresh produce, lambs and chickens which are much more available," said Hurtado, from Los Angeles. "It's gotten a lot better now that the Marines are here, because we can buy things cheaper using money we got from the Marines, and that means we have more variety of things to sell the Marines for cheaper," said Abdeljamil, another local shopkeeper. Now that there is abundance of produce at the bazaar, more Marines are buying and cooking their own food and spending money to help the local Afghan economy. "I think a good 60 percent of the Marines here don't eat at the chow hall. They buy all their food from the bazaar," said Hurtado, father of one. "The Marines buying from the bazaar helps the local economy out a lot," said Hurtado. "The produce is more in demand now, and the farmers will actually bring in more produce for the Marines which both helps the Marines and themselves by making more money." During the holidays, 4th LAR Marines were able to get a large amount of lamb and produce which allowed them to have a big Christmas dinner. "During Christmas, Marines with Bravo Company, (4th LAR) bought three lambs and some produce from the market, and that's what we made for Christmas dinner," recounted Hurtado. Even with prices going up at the bazaar, as the interpreters say, everything still seems cheap to us, and the Afghans are making more profit so in the end it still helps all of us, said Hurtado. Pictures provided by DVIDs Images. 1 of 3 An Afghan shopkeeper pushes a recently purchased lamb from the local bazaar to the entry control point at Combat Outpost Castle, March 31. The 4th Light Armored Reconnaissance Marines here purchase goods from the stores helping the local Afghan economy and improving their quality of life. 2 of 3 Cpl. Jesse J. Hurtado, speaking through an Afghan interpreter, buys some produce from the local bazaar near Combat Outpost Castle, March 31. 4th Light Armored Reconnaissance Marines here purchase produce, livestock and commodities they normally wouldn't have from the bazaar both improving their quality of life here and the local Afghan economy. 3 of 3 Lance Cpl. Justin T. McKee, cooks a chicken and lamb that was recently purchased at bazaar near Combat Outpost Castle, March 31. 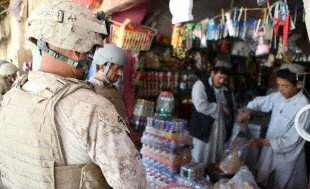 The 4th Light Armored Reconnaissance Marines purchase commodities from the local bazaar cheaply which improves their quality of life and helps the local Afghan economy. 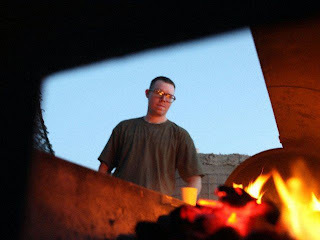 Posted by MsMarti - on Monday, April 12, 2010 at 07:30 in Afghanistan News, Permalink. KABUL, Afghanistan (April 10, 2010) – More than 20 Farah province judges, prosecutors, members of the Criminal Investigation Department (CID) and members of the Ministry of Justice participated in the first of a three-day seminar focusing on the Constitution of Afghanistan and the Elimination of Violence Against Women Law (EVAWL), April 3. The seminar was conducted by Justice Sector Support Program (JSSP) personnel and hosted by the Farah Provincial Reconstruction Team (PRT). The three-day seminar was aimed to equip Afghan’s who are working within the judicial system, to better understand the constitution and to implement rule of law in their designated career fields. Two of the three days were concentrated on EVAWL, a new law imposing strict penalties for women forced into marriage, marrying women under the age of 16, and for physical abuse towards women. “A lot of times the community does not understand what the law is,” said Sheila Weirth, Justice Advisor for JSSP. The seminar is an opportunity to raise awareness and shed light about EVAWL to the law makers and law enforcers in the province. The law also requires every ministry working for the Afghan government to promote awareness and educate the community about the law. Participants were given verbal and visual lessons, a chance to share with each other experiences and lessons learned, and mock scenarios applicable to real life cases in Afghanistan. Weirth’s hope is that participants in the seminar will share the information gained with their peers and colleagues, therefore spreading knowledge of EVAWL and the general laws under the GIROA constitution. JSSP and the Farah PRT also visited with the Farah Provincial Chief Judge Abdul Hanif Ubiad and Chief Prosecutor Abdul Ghafar to assess the current judicial situation in the province. The meeting with Ubiad and Ghafar was a key opportunity for JSSP and the PRT to observe the process of law in the province, and resulted in a stronger relationship between government officials and coalition forces. Maintaining security and prosecuting members of the Taliban has remained a top priority among judiciaries in the Farah Province. However, it is the day-to-day rule of law that has been a tough challenge for judges and prosecutors alike. According to Ubiad, most criminal activity in the city of Farah consists of land disputes, tribal disputes that often lead to revenge killings, and business deals gone badly. In other parts of the province, drug production and trafficking continues to be a significant hurdle for Afghan law enforcement officers. In addition, appointing defense attorneys for suspects has been a struggle for the province. Currently there are no defense attorneys for the entire province. The suspect does have the opportunity to defend themselves, but witnesses and arresting officials are rarely available or present during the trial. Hiring defense attorneys has remained a high priority for Ubiad, and Weirth is very confident there will be more within the next few years. Despite these obstacles, Ghafar is more than optimistic about the future security and stability of Farah. To assist with the justice system, U.S. Navy Lieutenant Matt Schaefer, rule of law advisor to the PRT commander and a practicing lawyer in the commercial-sector, is committed to assisting in diagnosing problems within the legal system to establish a secure and developed justice system. Support from the PRT and JSSP will continue to focus on sustainable solutions to the justice system in Farah. Continuing efforts of meetings, seminars, and training events for those working in the justice system will provide long-term successes, rather than temporary solutions. I Still Say Obama is Giving America the A.I.D.S. The Power of an Accusation. Hater Deluxe. Zo Reads Some Hate Mail. Democratic Congressman "I don't care about the Constitution!" Hank Johnson's Guam Capsize Comment. Obama and Free Trade: Q&A With Jagdish Bhagwati. Is California Too Big To Fail? Q&A w/Flash Report's Jon Fleischman. How iPad Technology and iPhone Apps Expand Liberty. Soldiers receive a Silver Star for exceptional valor from U.S. Army Gen. Stanley A. McChrystal, the commander of the International Security Assistance Forces and U.S. Forces in Afghanistan, at Forward Operating Base Fenty in eastern Afghanistan’s Nangarhar province, April 9, 2010. U.S. Army Capt. Christopher B. Cordova, U.S. Army 1st Lt. Andrew L. Bundermann, Sgt. 1st Class Jonathan G. Hill and U.S. Army Sgt. Thomas C. Rasmussen, all with 3rd Sqdn., 61st Cav. Regt., were awarded the Silver Star by McChrystal during the ceremony. Hill exemplified the skill and bravery of a Cavalry Scout while leading his platoon in the platoon leader's absence during the battle of Combat Outpost Keating. Hill led and directed his platoon while exposing himself to a heavy barrage of enemy fire, and organized multiple efforts to recover fallen Soldiers under effective, accurate fire. Bundermann orchestrated the defense of Combat Outpost Keating, preventing it from falling into the hands of a Taliban force of more than 400 fighters. Rasmussen volunteered to assault the ammunition supply point and establish a stronghold at Combat Outpost Keating after it was overrun by more than 400 insurgent fighters. He was a critical member of the assault team that pushed to a battle position and recovered two American Heroes. Cordova was recognized for displaying mental endurance and technical competence in treating and evacuating 16 U.S. and Afghan National Security Forces casualties and an additional 27 'walking wounded' during a violent engagement with enemy forces last October. U.S. Army Sgt. 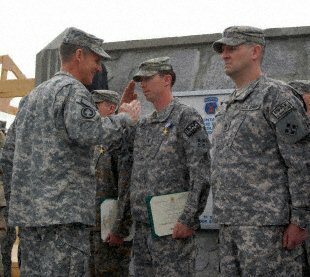 1st Class Jonathan G. Hill, from Blacksburg, Va., with Troop B, 3rd Squadron, 61st Cavalry Regiment, Task Force Destroyer, receives a Silver Star for exceptional valor from U.S. Army Gen. Stanley A. McChrystal, the commander of the International Security Assistance Forces and U.S. Forces in Afghanistan, at Forward Operating Base Fenty in eastern Afghanistan's Nangarhar province, April 9. Hill exemplified the skill and bravery of a Cavalry Scout while leading his platoon in the platoon leader's absence during the battle of Combat Outpost Keating. Hill led and directed his platoon while exposing himself to a heavy barrage of enemy fire, and organized multiple efforts to recover fallen Soldiers under effective, accurate fire. U.S. Army Capt. Christopher B. Cordova, U.S. Army 1st Lt. Andrew L. Bundermann and U.S. Army Sgt. Thomas C. Rasmussen, all with 3rd Sqdn., 61st Cav. 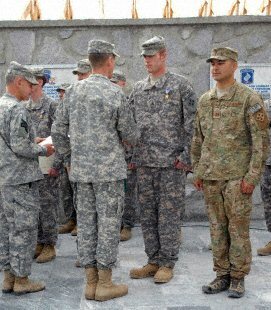 Regt., were also awarded the Silver Star by McChrystal during the ceremony. Photo by Pfc. Elizabeth Raney. U.S. Army Capt. Christopher B. Cordova, from Mechanicsville, Md., with Headquarters and Headquarters Troop, 3rd Squadron, 61st Cavalry Regiment, Task Force Destroyer, receives a Silver Star for exceptional valor from U.S. Army Gen. Stanley A. McChrystal, the commander of the International Security Assistance Forces and U.S. Forces in Afghanistan, at Forward Operating Base Fenty in eastern Afghanistan's Nangarhar province, April 9. Cordova was recognized for displaying mental endurance and technical competence in treating and evacuating 16 U.S. and Afghan National Security Forces casualties and an additional 27 'walking wounded' during a violent engagement with enemy forces last October. U.S. Army 1st Lt. Andrew L. Bundermann, Sgt. 1st Class Jonathan G. Hill and U.S. Army Sgt. Thomas C. Rasmussen, all with 3rd Sqdn., 61st Cav. 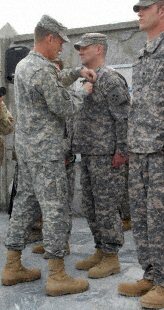 Regt., were also awarded the Silver Star by McChrystal during the ceremony. SOURCE: Posted by MsMarti - on Sunday, April 11, 2010 at 17:30 in Afghanistan News, Hall of Heroes - Stories of Valor, Honoring Our Heroes. | Permalink. Hi everyone. How are you feeling? A little down? Don't be. We are going to try another method than just rallies. We are going to give most of these critters in Congress their pink slips. We can do this, but we need your help. The Tea Party is going to be held between 130 Cherry Avenue and Junipero Street. We shall also be on the main road, Ocean Blvd, at the later half of our event. I need some volunteers. I've been shy in the past, but I really do need you. What we need are a video camera, decorations (ribbons, balloons, or whatever you want to bring as long as it's patriotic and not racist or insulting), folding chairs if you'd like to sit, a card table to place the sign-in sheet and petitions, patriotic music (and CD player) including the Star Spangled Banner, snacks if you want them or to share, and whatever else you can think of that I have not put on this list. Many times I have heard and also wondered, what can I do to help besides attend Tea Parties? It is too late to run for Central Committees in your area, but there are still many things you can do to make sure this town, state, and country remembers its founding. We can go to city council meetings, we can join our federation of women's groups in our area, we can go out and get people to vote, we can educate people on what is actually in these bills (it's nice to have the bill with you, or at least the part you are describing), we can work in the campaign headquarters of the people we support as volunteers, we can have a candidate's row where we can ask the candidates direct questions politely, and much more. Maybe you could think of something? Maybe we could get them to sign a "NO NEW TAXES" pledge? Hmm. PLACE: Between 130 Cherry Street and Junipero Street (near Ocean Blvd), Bixby Park (sometimes called Cherry Park). PARKING: There should be good parking. If you are planning to go, please e-mail me so I can give you my cell number in case you get lost. Hey, it's always a good idea just in case. For you men, COME ON! We all know you've been lost before! haha. I will also need everyone to be aware that the Left is not happy with effectiveness. They are planning to go to each Tea Party and try to blend in so they can make us look they way they think we are. We know we are not as they describe, so if you see anyone you think is here to cause trouble, let me know. Do not talk to them, do not argue with them. Let me handle it. I have already made the police aware of the situation, so they know how to deal with it. It is their job, and we maintain our good reputation. Last year two of them showed up and were very polite. They stayed their distance, and they did not say anything. No yelling, no profanity, nothing. This is also their right. If they are like that, leave them alone. They have the same rights as we do. I just wanted to cover this with you. You will be safe. They've never showed up again. We've been fortunate. This is just in case. If it begins to rain, here's the plan. At 130 Cherry Ave, that is where the laboratories are. There is also shelter overhead on the outside. There is also shelter behind the stage. All of us can fit (at least the size of the last few, haha), so watch for the weather report. Come prepared. Finally, let's all have a great time. From 5-6 we will hear people speaking, and from 6-7 we shall bring our flags and signs (please no personal signs, this is bigger than one person!) to Ocean Blvd and Cherry Ave. Last time we had very much support, so we should do this everytime. People need to see us. Another thing that's been done differently this time is we advertized in the Pennysaver! Both print and online. Everyone have a great day, and keep your chin up. They have not defeated us yet, nor will they! EDITOR'S NOTE: I'm thinking about switching it to having our signs and flags on Ocean Blvd first, then having the speakers. What do you guys think? (I'm thinking this might get everyone jazzed up.) I'd appreciate all opinions on this. Does anyone have any experience in this area? Is this a good/bad idea? Thanks.